The book is a valuable contribution to the field of cultural participation studies, with in total 25 interesting and well-written articles of high research quality on different topics and arts sectors. 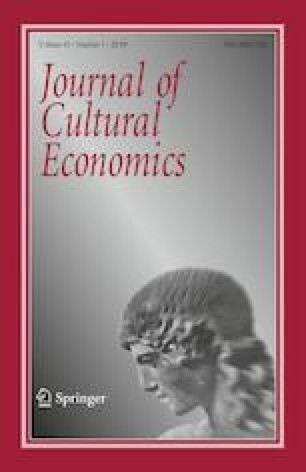 The five editors are well-known and highly esteemed researchers in cultural economics, and they are based at universities in Spain (Oviedo and Bilbao), Italy (Catania), Belgium (Brussels) and Ireland (Dublin). In total, 40 authors have contributed to the volume. There are, however, in my opinion, some discrepancies between the expectations created by the title of the book as well as the introduction, and the actual content of the book. The book is devoted to enhancing participation in the arts, and to the link between the arts and society, especially how participation in the arts may enhance social inclusion. These are the two important key questions.